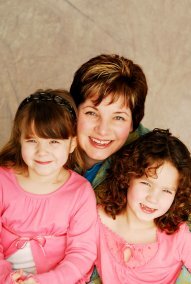 Stacey Kannenberg is an author, publisher, motivator, consultant, spokesperson and MOM. As the “Get Ready to Learn Mom”, Stacey is a nationally renowned education expert and award winning author with an expertise in children’s education, and “Mom-entrepreneurship”. She is the co-author of the award winning and state approved, Let’s Get Ready series with Let’s Get Ready For Kindergarten!, the Spanish/English Bilingual Edition of Let’s Get Ready For Kindergarten! and Let’s Get Ready For First Grade! 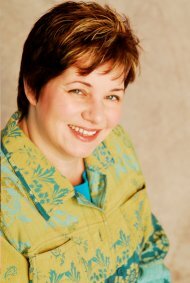 Stacey is the Founder/CEO of two publishing companies: Cedar Valley Publishing and Stacey Kannenberg Unlimited, an imprint of Cedar Valley Publishing. Stacey is a media favorite with numerous television appearances along with hundreds of radio, magazine and newspaper stories to her credit from Radio Disney to Toy Tips Magazine to the Dallas Daily News. During Back to School, she was featured in 22 Parenting Magazines from Indy Parent to Houston Parent to OC Parent to Metro Parent as well as numerous television shows from FOX 6 News to Milwaukee’s Morning Blend to WEAUTV to the WB’s Daily Buzz. Stacey is a frequent presenter at Early Learning and Head Start Conferences where she holds workshops for teachers and educators entitled: Empowering Parents 101. Stacey is a favorite presenter at schools where she helps parents, kids and teachers get ready for Kindergarten. She has presented at Book Publishing Conferences with her sessions on Book Publishing 101 & Book Marketing 101. Stacey has presented with Empowering Mom 101 and Mom-entrepreneurship to mom groups, playgroups, MOPS and book clubs. Stacey has been a successful blogger and many of her blog posts have lead to television segments. One of her blog posts entitled: Tips on Getting Kids Ready for Kindergarten lead to a national segment on Better TV/Parents TV. Another blog post on Let’s Get Ready For Parent Teacher Conferences lead to a Milwaukee’s Morning Blend and Fox 6 News television segments. An additional blog post entitled, Let’s Get Ready For Cold and Flu Season: Tips to Motivate Your Kids to Wash Those Hands, was quoted in an AP story and lead to a television segment on Milwaukee’s Morning Blend that was later syndicated and picked up by the Meredith’s National Television show, Better TV/Parents TV. Stacey has been a Principal in Mom Central Consulting where she helped brands reach mom through a viral grassroots approach. Some of her clients have included: PBS’s Word World, Frooze, Cranium Bloom, Mamasource, Cozi, Airborne, Kellogg’s, General Mills, East Side Entrees Breakfast Breaks, Scholastic Bob Books, Imbee and Mattel Barbie, We Believe in Girls. Stacey is wife to Michael and Mom to Heidi and Megan.